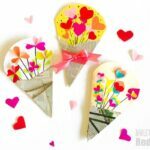 Our Love series continues – daily, a new blogger from the world wide web, will bring you another lovely love craft to inspire you for Valentine’s Day – as part of our 31 Days of Love series! 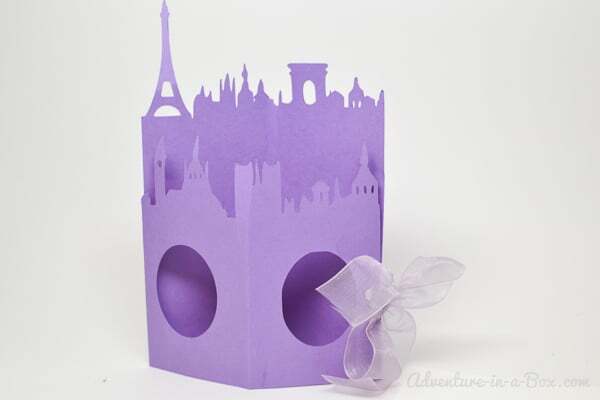 Today, we have a simply **amazing** card from Liska at Adventure in a Box – when someone makes something this pretty and takes this amount of time over it, you really do know that you are love. Aaaah. 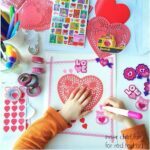 Plenty more ideas for you browse in the 31 Days of Love Series:Valentine Crafts for Preschoolers, Valentine Day Treats, Valentine Decorations, Valentine Cards, Valentines Day STEAM Activities or Valentine’s Day Gifts. 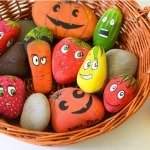 Greeting to the readers of Red Ted Art! 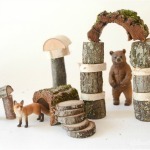 I am Liska, and I blog over at Adventure in a Box, where I share ideas for building handmade toys for children, crafts and family activities. On the map, you can find my family in Canada, where we adventure among the peach orchards and waterfalls of the Niagara region. I am very excited to write for Red Ted Art today. Thank you for this opportunity, Maggy! 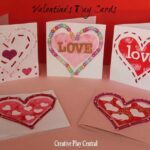 There are plenty of stereotypical images that can be used to good effect when making a card to celebrate an event, but making a card to celebrate your love for someone may require something a bit more personal. 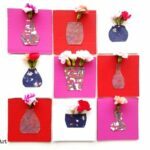 Sure, there are hearts and swirls of pink, but the love we celebrate is based on specific memories we share with a particular person. Drawing on the most pleasant memories is a great way to remind someone that you love them. Make it a love card! I decided to make one for my husband. Of course, it could also work for a child, a parent or a friend, with a few changes. I hope you will find the general idea inspiring! When putting thought, emotion and effort into the creation of a card, it is best if it doesn’t end up in the card box too soon. 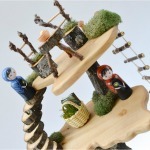 With that objective in mind, this project has a card up its sleeve. 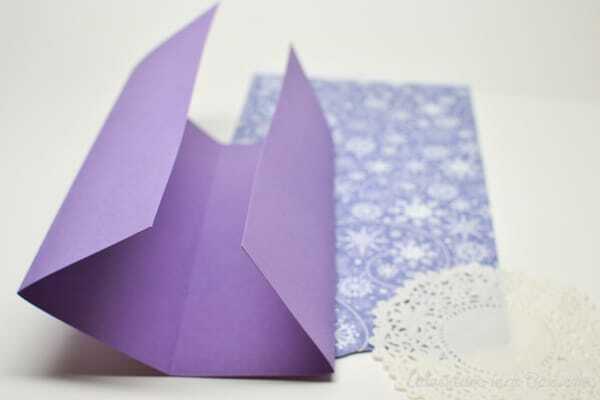 Fold a sheet of card stock in half width wise. Now fold each half once more. As a result, the sheet will be divided into equal quarters. 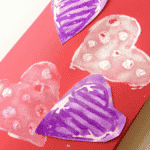 Trace a design onto the sheet. 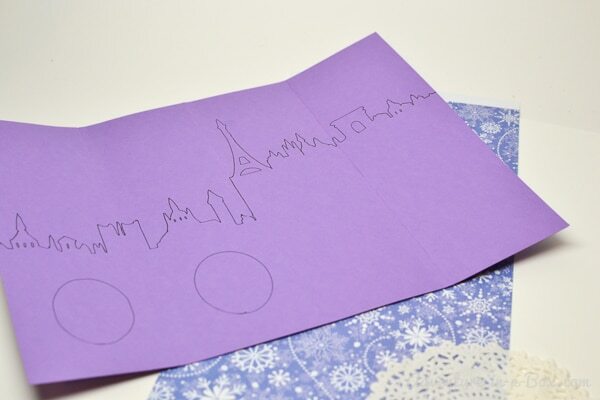 First, I drew two ovals, then added the skyline of Paris as the top edge of the card. Not just because Paris is a romantic city, but because my husband and I honeymooned there. 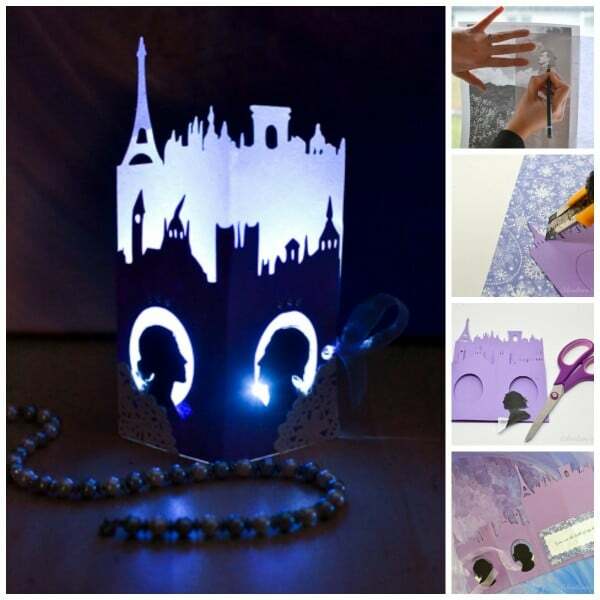 You can print it and use the design as it is, or modify it to create a different city. If you do not feel like having a city, the opportunities for lacy edges are endless as well! 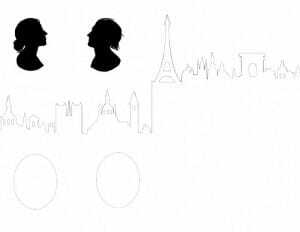 Cut the silhouette out. 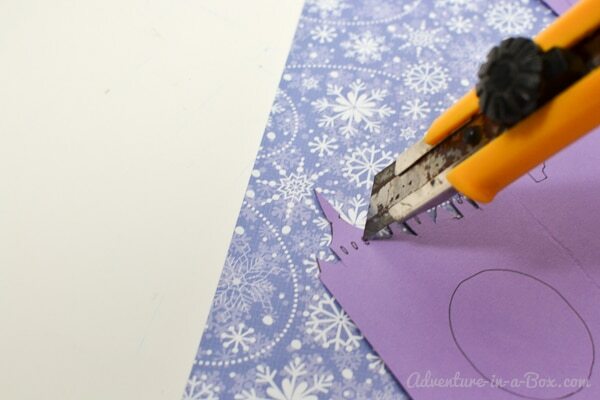 For cutting little windows, I recommend using a paper knife. 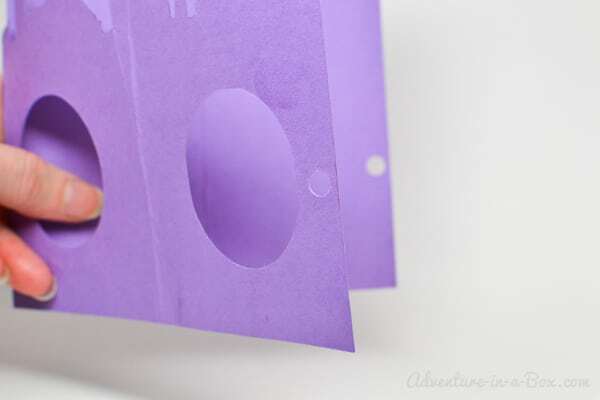 Fold the paper in half and make two holes with a hole punch close to the outer edges of the card. If you put the ribbon through these holes, it will keep the card shut, which will come useful later. 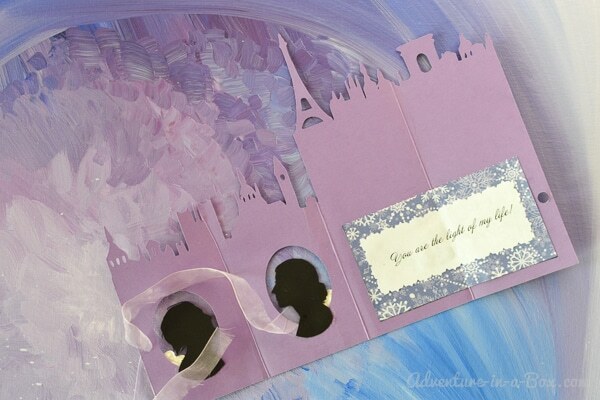 Draw and cut a cameo-styled silhouette of the person you want to give this card to. I also added my own silhouette in the second window. 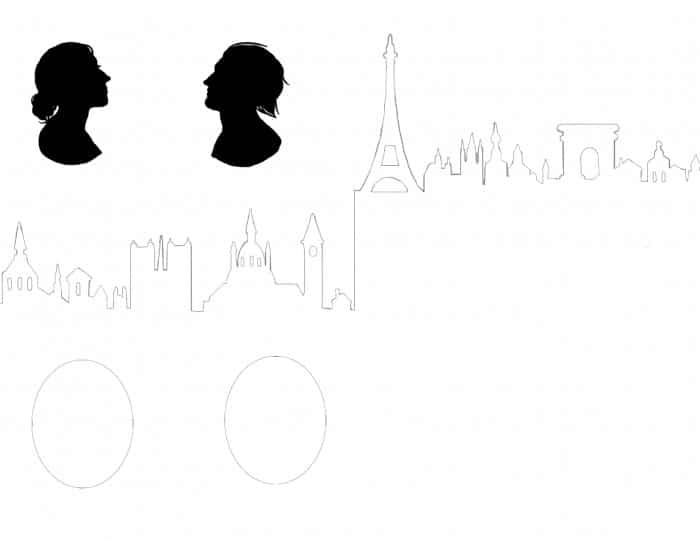 If you are thinking of making a generic card, you are welcome to use the silhouettes I drew. 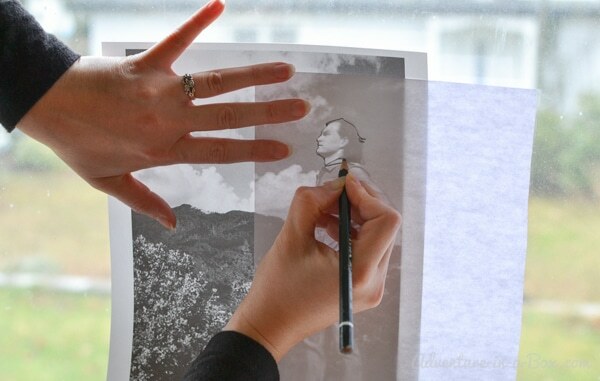 If you would like to draw a silhouette of your child, husband, parent or friend, trace it from a photo through the window or with a computer program. 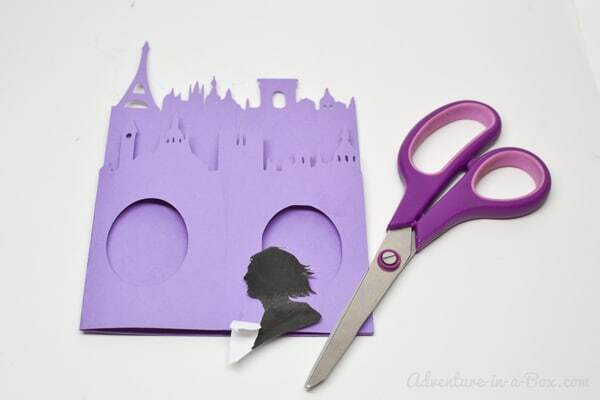 For more details, you can check my article on making personalized silhouettes. 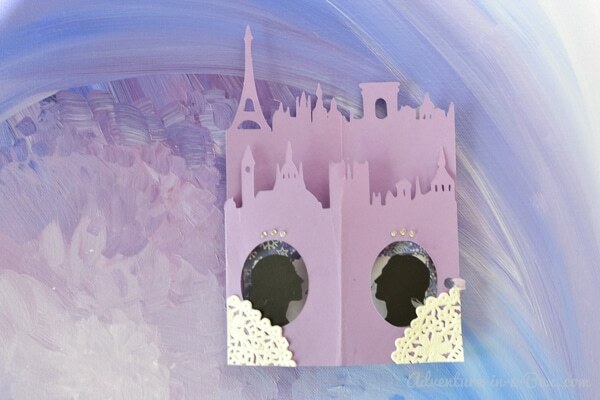 Glue the silhouettes from inside of the card so that they can be seen through the oval windows. 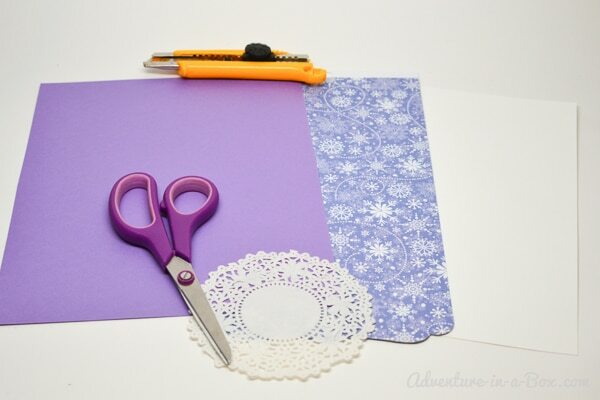 Decorate the card with beads and doilies to your liking. Since I was going for a Victorian-inspired look, with cameo silhouettes, I thought that the lacy doily would suit this card. Inside, I glued another shade of purple to bear the text of the card. This is how the finished card looks. As hinted, the card knows a trick to keep out of the card box. 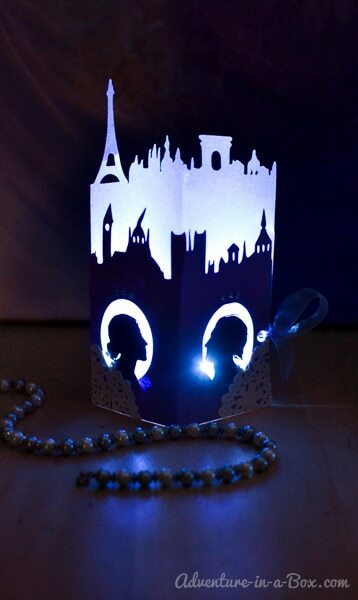 After the recipient reads it and ties the ribbon, it will turn into a little lantern. 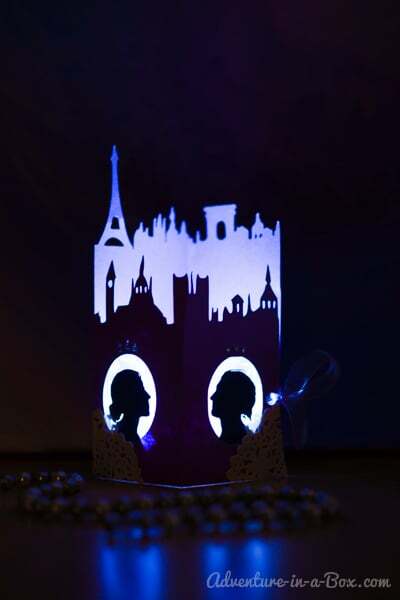 Put an LED candle inside, and it will glow softly, light shining through the paper cutouts and creating an oriole around the silhouette of your loved one. “You are the light of my life”, says the message inside of the card, and it is the sentiment I wanted it to visualize. 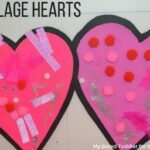 Looking for more Valentine Cards for Kids Ideas? 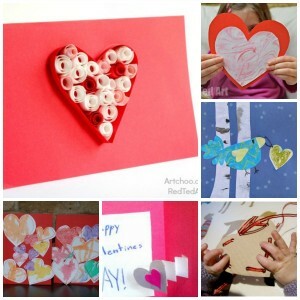 We have a number of last year’s ideas for you here! Wow! What a beautiful card idea. 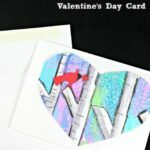 I am a paper cut artist and I am in love with the 3D element of this card.